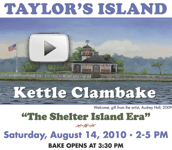 As the Smith-Taylor cabin was readied forrestoration, the 2012Kettle Clambake was held at St. Gabriel's on the Shelter Island mainland. The event was covered in aphoto story by the Shelter Island Reporter. 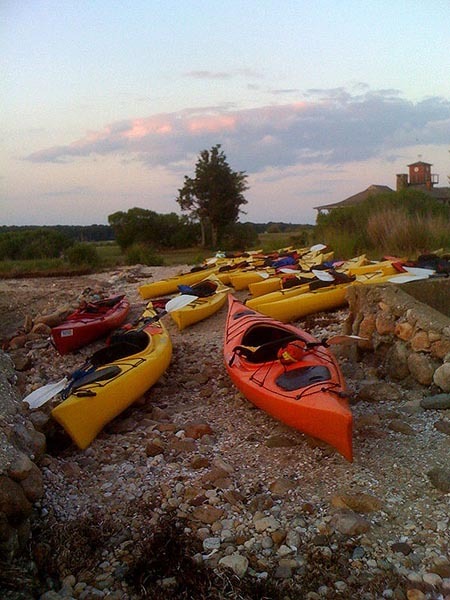 June 15th the Shelter Island School's sixth gradekayaked to Taylor's Island for a tour of the cabin. 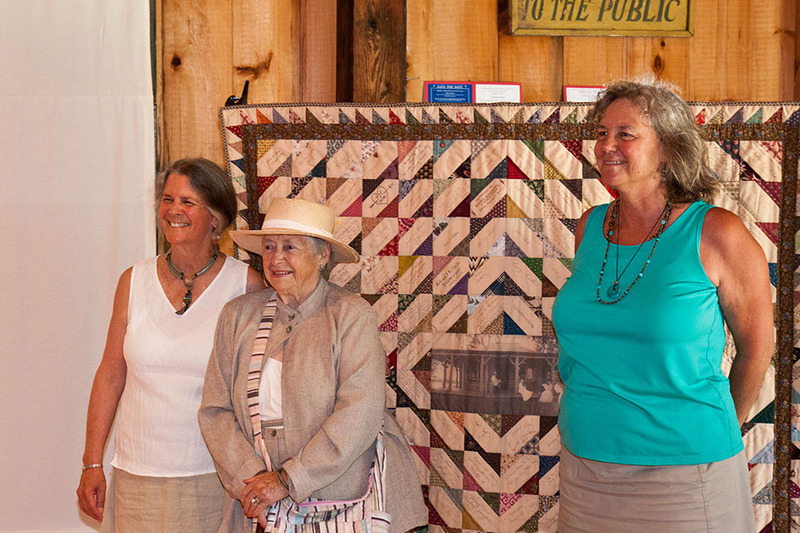 The Shelter Island Library had their annual tour of the Smith-Taylor Cabin as well as a picnic lunch on the island. 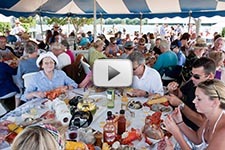 This year's annual Kettle Clambake was held in August on a perfect summer day. 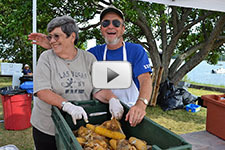 The sold out crowd, arriving by shuttle boats, enjoyed live music and lobsters, clams, chicken, corn, sweet potatos and fresh squeezed lemonade. There was plenty to celebrate. A Shelter Island Town Park, Taylor's Island, was awarded a matching grant for the restoration of the Smith-Taylor Cabin. 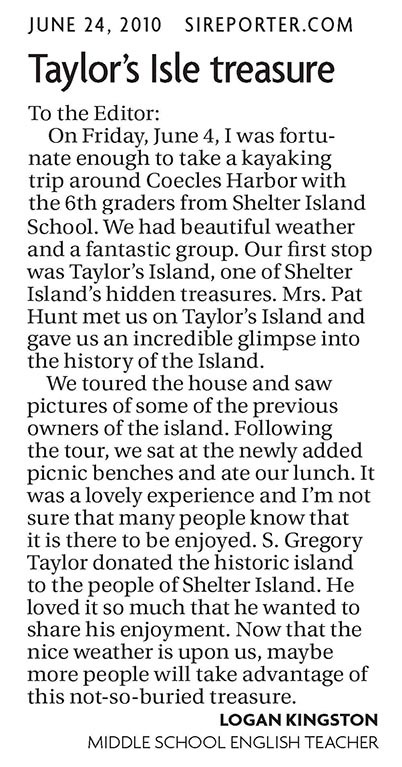 In June, the Shelter Island School had its annual visit and picnic on Taylor's Island. Shelter Island Kayak Tours and the Taylor's Island Foundation hosted a Father's Day Paddle to Taylor's Island. 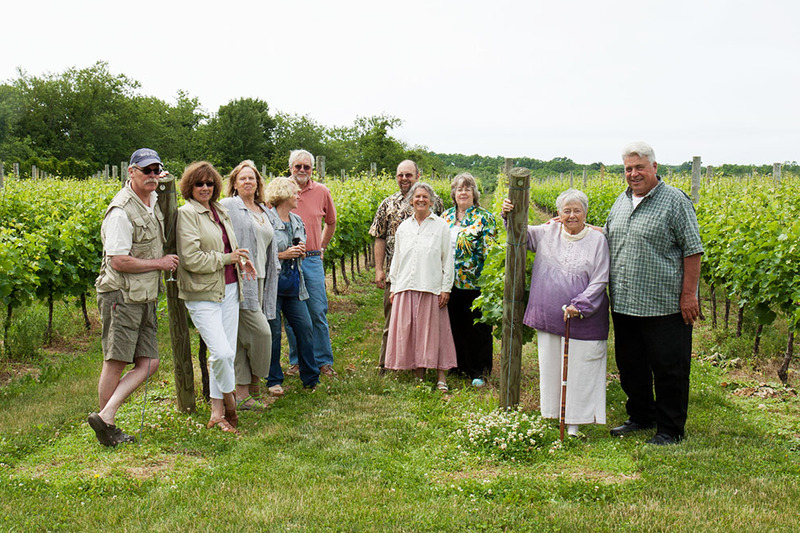 The Foundation held an Appreciation Day and Picnic at the Duck Walk Vineyard to thank all the people who are helping Taylor's Island in various ways. 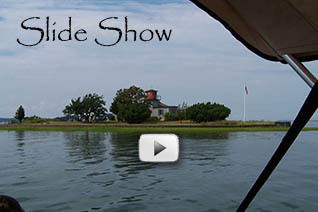 In July, the Shelter Island Public Library organized a tour of Taylor's Island. Also in July, P.A.T. 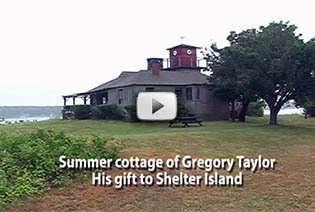 Hunt gave a narrated slide and film presentation about Taylor's Island at the Shelter Island Historical Society's Haven House Barn. On a crystal clear, calm and cold November 5th the Scouts set up camp on Taylor's Island (view slideshow). 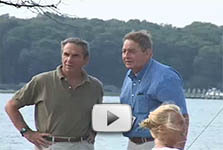 The Town of Shelter Island Era Celebrated in 2010. Taylor's Island art went on exhibition in March at the Shelter Island Town Hall. In June, members of the Shelter Island Senior Citizen's Association (SISCA) walked out to the Island at low tide. The Shelter Island School visited the cabin and wrote to the Reporter in June. Shelter Island Kayak Tours had a Father's Day paddle to Taylor's Island complete with a picnic. Camp Quinipet made two visits by kayak, the second was an overnight stay for twenty campers. 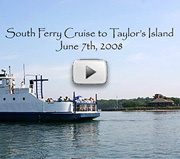 The Shelter Island Historical Society auctioned “a boat ride to another era” an overnight stay for two at the historic S mith-Taylor Cabin, and it turned out to be a birthday to remember. The Cruising Club of New England enjoyed a barbecue night and a pirate night on the Island in July. 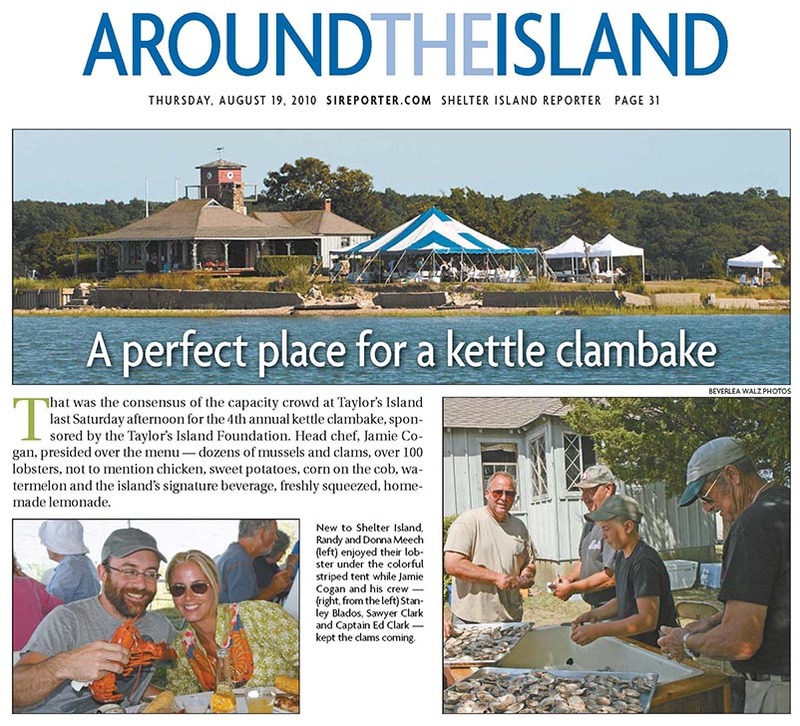 Our Annual Kettle Clambake was held again on the second Saturday in August, this year celebrating the Town of Shelter Island Era (more photos). Town Officials from the era contributed their reflections. 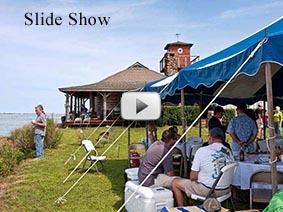 Our Kettle Clambake was held on August 8th. 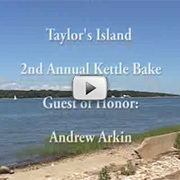 Kettle Clambakes have become an annual festivity on Taylor's Island.One hundred guests from Shelter Island and beyond come to the Island to enjoy delicious food and the Island's magic. 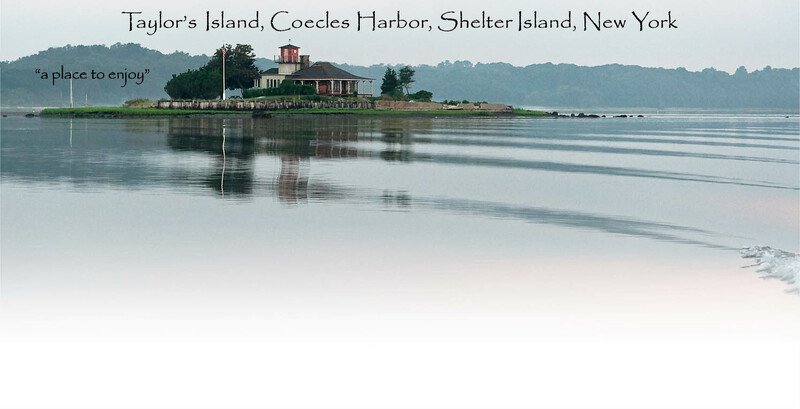 Taylor's Island also hosted a Wellness Day, Overnight Guests, and a 50th wedding anniversary celebration in 2009. 2008 marked the beginning of docent days (guided tours) of the Cabin.This year our events included over four hundred fifty guests. Counted among these visitors are student groups and summer campers, as well as descendants of Dorothy Smith Bayley Kane who gathered on the Island for a family reunion. Francis “Borax” Smith, the builder of the original log cabin on Cedar Island, enjoyed traditional clambakes on the Island with his family and friends in the early 1900s. His granddaughter and her husband were on Taylor's Island as part of this year's celebration. 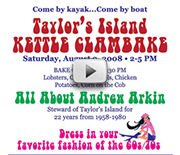 The traditional method of cooking the clambake on hot rocks has a modern twist on Taylor's Island these days.The ingredients in the bake are all steamed together in a giant stainless steel kettle. 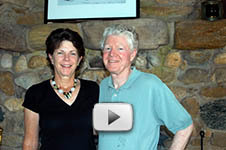 Craig and Carrie Wood and their family were also part of the clambake. Craig posted this slideshow on his blog. View a slideshow by Neal Raymond here. The Taylor’s Island Preservation and Management Committee and the Taylor’s Island Foundation held their first event on Taylor's Island to honor S. Gregory Taylor (Soterios Gregorios Tavoulares). Read the Shelter Island Reporter and Newsday coverage of the event.